I think we may try something new. We do a lot of reviews and post trailers of upcoming movies and don’t forget about our Horror Hall of Fame. We do have some other upcoming columns, like Bloody Streaming Roulette, Millennial Morgan Plays Catch Up and Mike’s Dumpster Dive. But with this post, I would like to take a look back at the Modern Zombie. Maybe sometime we can examine things like Slasher movies or Gothic Horror movies…today it is the Modern Zombie. 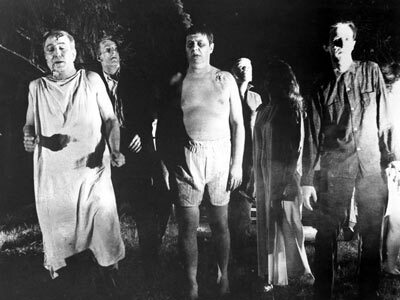 In 1968, the modern Zombie was born with the release of the classic horror film, Night of the Living Dead. The idea did not take off until after Dawn of the Dead came out in 1978. After that, the zombie genre started to pick up in the 1980s and fall off in the 1990s. But in the early 2000s with films like 28 Days Later and a remake of Dawn of the Dead, the zombie genre came back to stay. But, before Night of the Living Dead, there were few zombie movies where the zombie was a dead flesh eater. The term “zombie” actually means, a corpse said to be revived by witchcraft, especially in certain African and Caribbean religions. So the difference between the original thought of the zombie and the modern zombie…Both re-animated corpse, but the modern zombie eats flesh. Originally George Romero and John Russo did not even use the term “zombie”. Night of the Living Dead was originally titled “Night of the Flesh Eaters” but changed to Night of the Living Dead before the release. There is a great documentary on called Birth of the Living Dead, it pops up and off of Netflix all of the time, currently not on Netflix. But keep an eye out for it. Some say the zombie genre has already run its course and that may be. 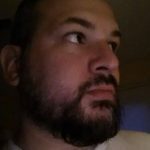 I once talked on an old podcast about the fact that zombie films seem to be the easier film to make when it comes to independent horror films. It is no joke, you don’t need much of a story or as I have seen. Zombie films are also a good way for make up artist to cut their teeth. So in that respect the genre isn’t going anywhere, if you had to ask me. It seems a safe bet that the zombie sub-genre could have the most movies made of any other horror sub-genre. Zombies have also jumped into popular comics and now even television. The Walking Dead has taken the genre to a new level. There are so many people who are now exposed to the zombie show, from it’s drama and good story telling to great make up jobs on the zombies. Everyone seems to watch the Walking Dead and some watch the SyFy and campier version, Z Nation. Some of the things that stick I out I mentioned. 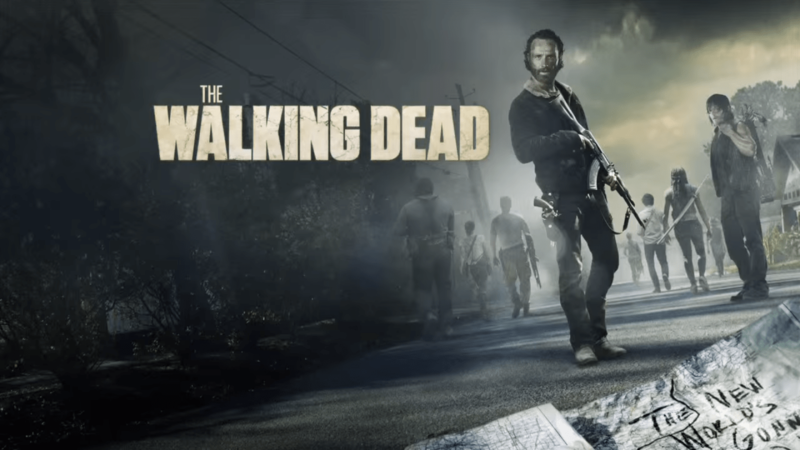 Check out the Walking Dead, the first 5 seasons are on Netflix and the newest season, season 7 will be coming this fall to AMC. Not to mention the spin-off Fear the Walking Dead. The Walking Dead was spawned from a comic, which there are over 150 issues and a bunch of good video games as well. As I mentioned, there have been so many zombie movies made over the past 48 years since Night of the Living Dead was released. There are close to 600 zombie movies, if you look up zombie movies in Wikipedia, there is a list. It may be time for the Horror Syndicate to unleash a top zombie movie list. Top 10 or top 20. But for now, there are some key zombie movies that every single horror fan should see. These are in no order. Dawn of the Dead (1978 and 2004) Both are very good and the original scared the hell out of my when I was a child. The 1978 version is great, but some now view it as campy. The zombies are blueish, gray and the blood is super thick. The remake changed some things, running zombies. The story is different from the original, but they both take place in a mall. Dawn of the Dead, the original is my favorite zombie movie. Zombie 2 (1979) One of Lucio Fulci’s finest films. Great make-up effects, gore and more…what’s the and more you ask? How about a zombie vs a shark. While you’re at it, check out City of the Living Dead. Day of the Dead (1985) sure there is a remake, but stay the hell away from the remake. Day of the Dead…to me is THE best zombie movie ever made. There are two iconic characters in the movie, Rhodes and Dr. Frankenstein. Choke on em! Return of the Living Dead (1985) This is the rock n’ roll version of a zombie movie. Punk rockers, naked cemetery dancing…more brains. It is a fun zombie movie and has a cult following. I will also admit, sometimes lost in the genre are movies like Evil Dead, it is not a zombie movie, none of them. i am probably going to be unpopular with this, but I am not a fan of Shaun of the Dead or Zombieland, but they are both worth watching.